Did you know that you can find nearly anything and everything that you’d want to purchase on eBay? From used cars to a pepper grinder made from a stuffed raccoon—eBay has become the world’s marketplace. From high class and high priced to trailer trash chic and selling for pennies, anything you want is at your fingertips. Some say it’s like a world-wide garage sale and that’s not far wrong. People come to eBay by the millions. Do you see where I’m going with this? Are you selling on eBay yet? You’re not? 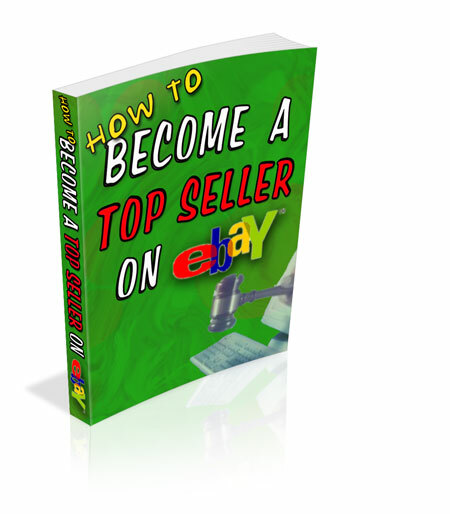 You need to become a Top eBay Seller and I’m about to show you how in my ebook. Get your copy now and you're not get poor if buy it once ,NOW!